Located in Oakville, Ontario, the Ontario Sheet Metal Workers Training Centre was created to train, upgrade and improve the vocational and safety skills of sheet metal workers in response to industry needs. Through upgrading and apprenticeship programs, they seek to make workers more employable through training that keeps up with changes in technology. 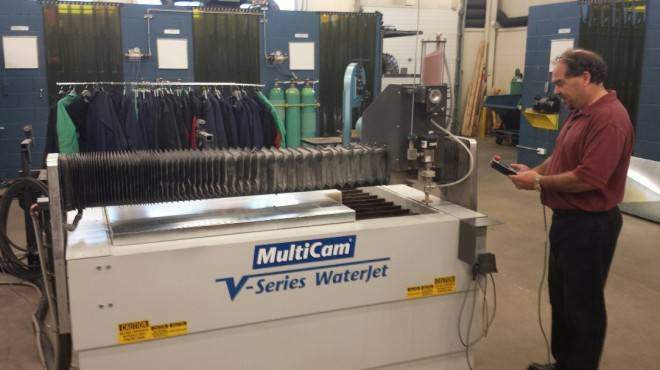 In response to the growing popularity and versatility of waterjet cutting in the sheet metal working industry, OSMWTC added a MultiCam V-Series Waterjet System to their training floor. 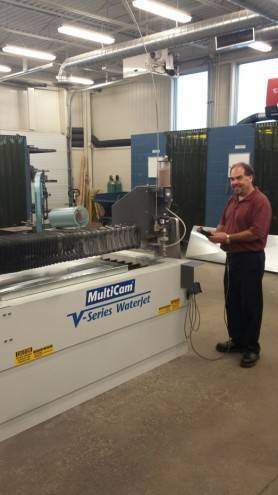 The V-Series Waterjet is a great entry-level waterjet; easy to use yet powerful enough for superb precision cutting.